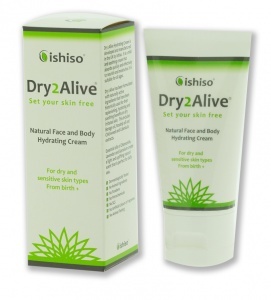 Try Dry2Alive and see the great beneficial effects on your or your children's dry skin. Suitable for all skin types. Use once or twice daily. For external use only. A patch test is recommended if you believe you may be sensitive to any of the ingredients used, especially for children under the age of 3. Avoid contact with eyes. Store in a cool dry place away from direct sunlight. Aqua, Aloe Barbadensis (Aloe Vera) Leaf Extract, Glyceryl Stearate, Cetyl Alcohol, Adansonia Digitata (Baobab) Seed Oil, Borago (Borage) Officinalis Seed Oil, Glycerin, Rosa Moschata (Rosehip) Seed Oil, Cetearyl Glucoside, Stellaria Media (Chickweed) Extract,Alcohol Denat.,Panthenol,EthylHexyl Glycrin, Phenoxyethanol,Squalane (Olive Squalane), Althaea Officinalis (Marshmallow) Root Extract, Avena Sativa (Oatmeal) Kernel Extract, Berberis Aquifolium (Mahonia) Extract,Tocopherol (vitamin E), Amaranthus Caudatus (Amaranth) Seed Extract, Calendula Officinalis (Calendula) Flower Extract, Lavandula Angustifolia (Lavender) Oil, Anthemis Nobilis (Chamomile) Flower Oil, Pelargonium Graveolens (Geranium) Flower Oil, Citral*, Citronellol*, Geraniol*, Limonene*, Linalool*. I tried this cream at a show, enjoying it' fragrance, and ordered some, because it is virtually chemical free. However, the batch that I received has a rather "old" rather sour odour, which is a bit disappointing. It has good smooth coverage, and sinks in well. Arrived well packaged and very promptly. Cream nice and non-greasy. Sinks into skin very quickly, however I have sensitive, itchy legs and they were still very itchy afterwards. Will continue to use in the hope that constant use will help my dry skin. I have been getting some very itchy eczema and was hesitant about trying a new product even though my current one wasnt working very well. 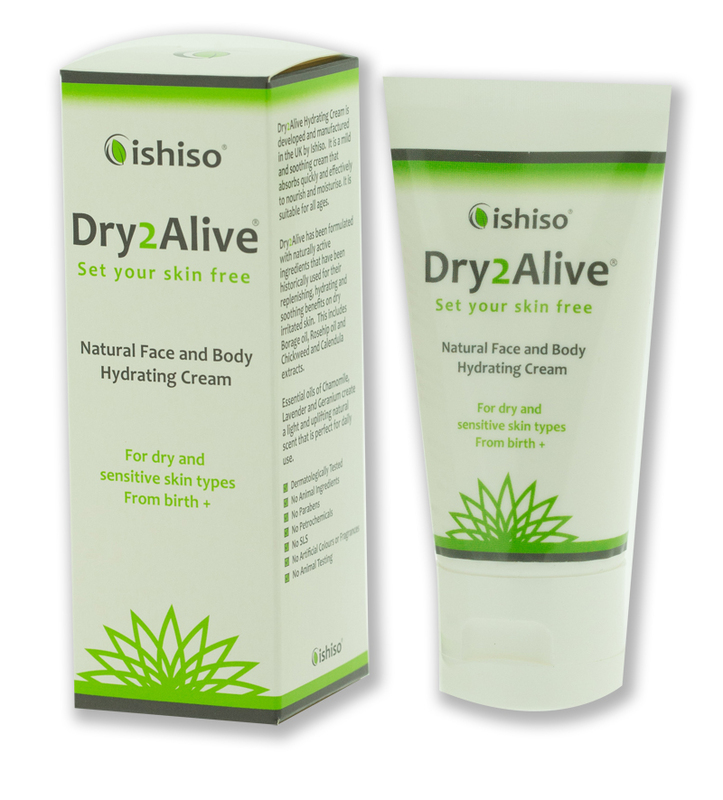 Dry2Alive didn't sting was very soothing and help sort out a lot of the dryness. I have recommended my mum to try it too! Helped my dry hands a lot! I have been suffering with dry flaky hands a lot!! This product really improved the appearance in 3 applications! Love the smell too!